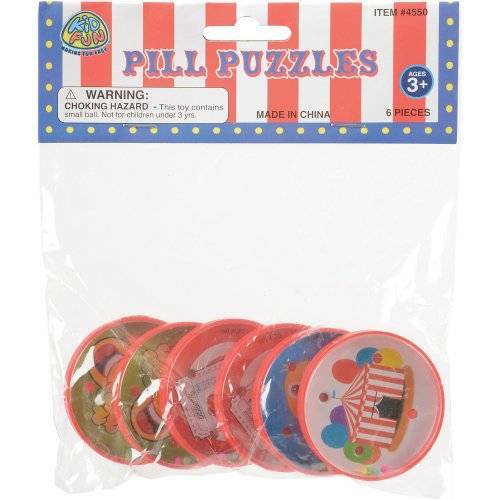 Challenge young minds with these carnival-themed pill puzzles. 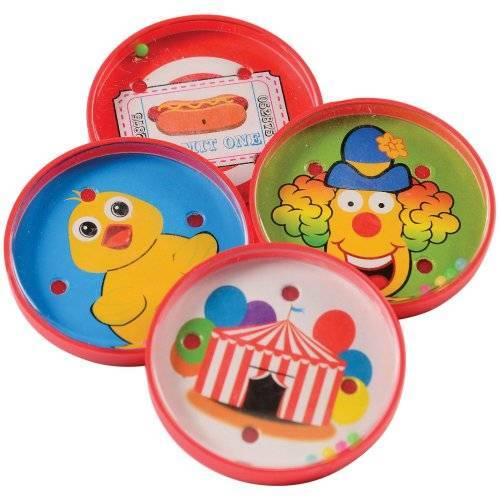 Featuring assorted circus images, these pill puzzles will keep your guests entertained trying to be the first to land their 4 balls into the corresponding spaces. Great for mastering hand/eye coordination and balancing, these small puzzles are the perfect party favor giveaway for any event.